Our step of this week at Tippy Toes Ballet is 1st position. There are five different positions of the feet in ballet that define standard placements of feet on the floor. 1st position is when the toes point in opposite directions, with heels touching. At Tippy Toes Ballet we like to make 1st position magical as we usually always start each exercise in this position. 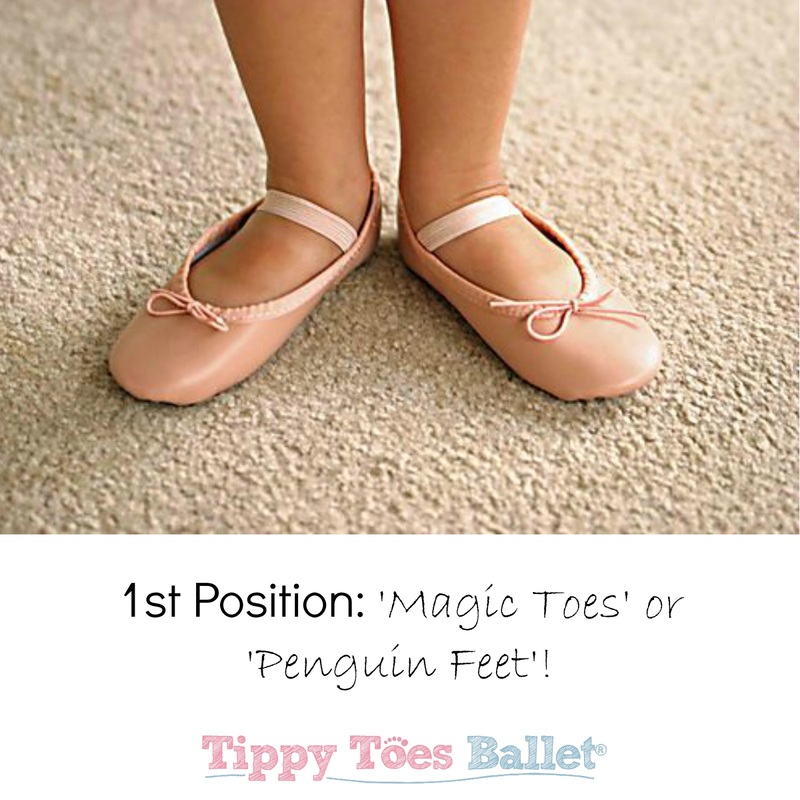 Why not practice 1st position with your little one or see if you can spot how many times we do 'magic toes' or 'penguin feet' in our Tippy Toes Ballet class!